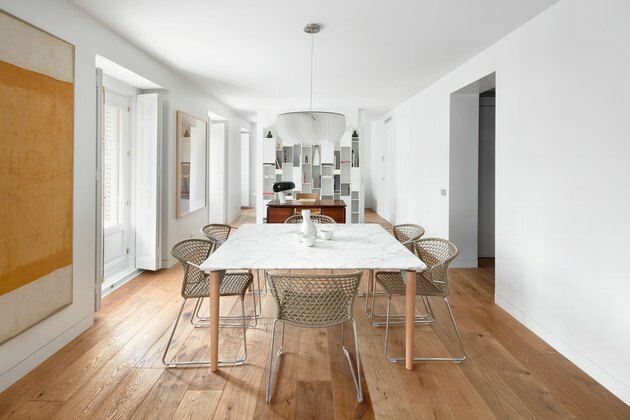 When a couple with four children began thinking about updating their 19th century home in Madrid, they knew that the kitchen needed to be at the center of their design. At the time, their property was a maze of closed-off rooms and obstructed flow — plus, it had no consideration for its close proximity to the city's famous El Retiro Park. 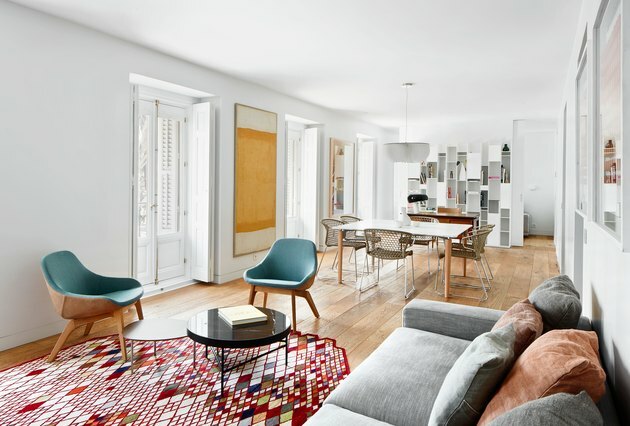 The owners hired Lucas y Hernández Gil to open up the individual corners around a centralized kitchen, creating a cohesive layout for a family of six to work and play with ease. First, the team reconfigured the living and dining areas as a bright and unified locale, and then outfitted the study with oversized doors that overlook restored balconies just beyond the park. 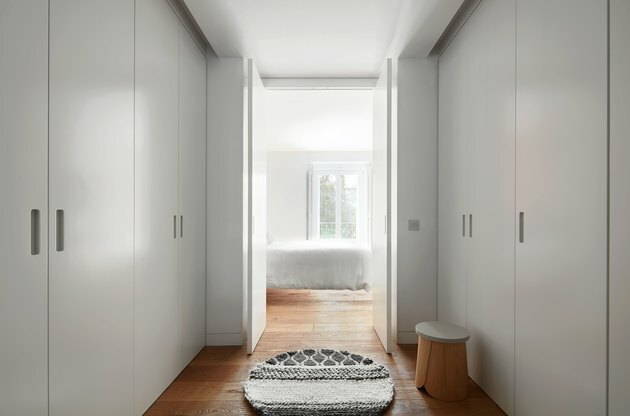 Then, they flooded the bedrooms and bathrooms with light from windows overlooking a quiet courtyard at the back of the house, and used the same materials throughout for a uniform look. And the kitchen? It's now the social hub of the property, connecting not only the living and sleeping spaces, but the family itself. A colorful rug by Ronan and Erwan Bouroullec anchors the light-filled living area. The chairs are by Zeitraum, the sofa is by Verzelloni Divani, and the coffee tables are by Ferm Living. The Achille Castiglioni–designed dining table has room for the entire family. A painting by Anke Blaue hangs across from a Moonjelly lamp by Limpalux. Accademia chairs surround the table. A 1950s Danish desk topped with a Snoopy lamp by Flos is the centerpiece of the study. The kitchen's black Zimbabwe granite floor is a bold contrast to the white cabinets and Silestone countertop. The wood clock displayed above the Hay stool was designed by Lucas y Hernández Gil. 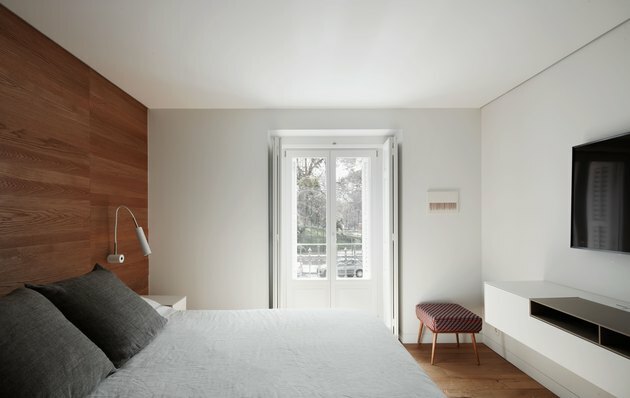 Oak panels line one of the walls in the master bedroom, which is furnished with a Treku bed and Catellani & Smith wall lamps. The master bedroom's walk-in closet was constructed using aged oak laminate. A Gan Rugs and a Sancal stool add character to the hallway. 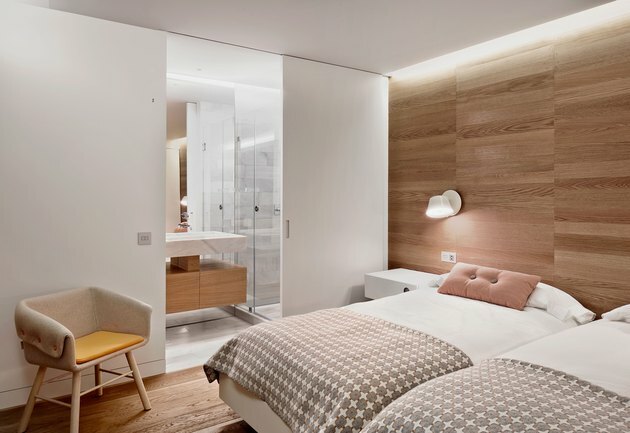 A pair of Arlex beds are illuminated by a Marset wall lamp in another bedroom. 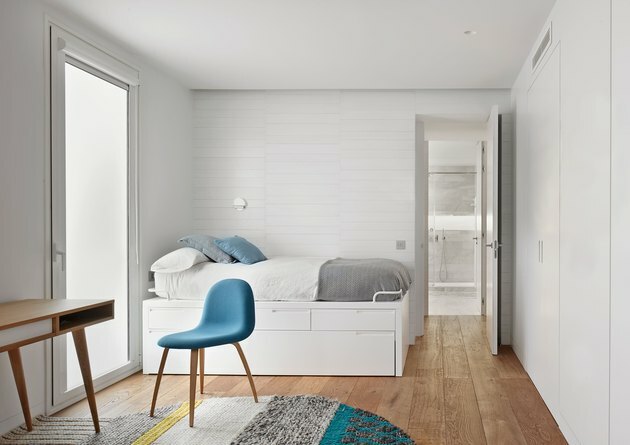 A Sancal armchair opposes a night table by Punt Mobles. A kid's room features a trundle bed by Dem and an Oak desk by Case. A Gubi chair adds color to the space. 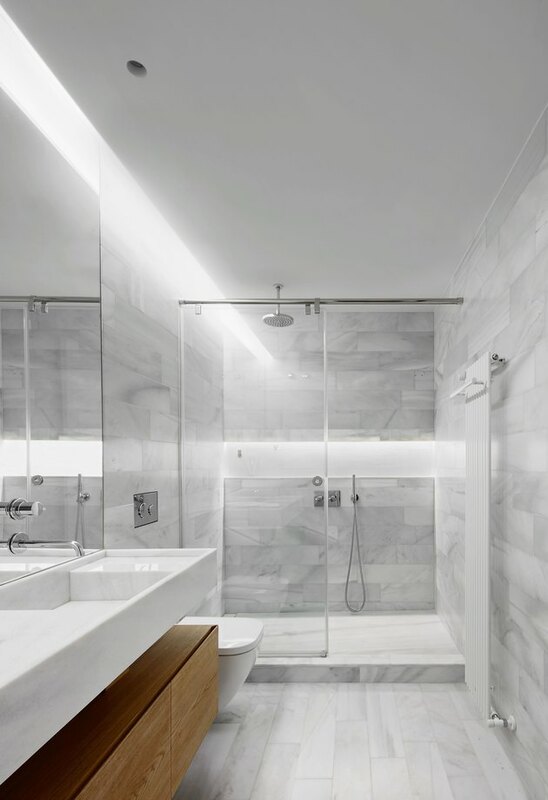 The firm used Macael marble in all of the bathrooms as a nod to the original building materials. A bathroom's vanity was custom designed by Lucas y Hernández Gil.